Have you ever biked down a hill and thought to yourself, "I really want to try going back up this hill for fun right now?" 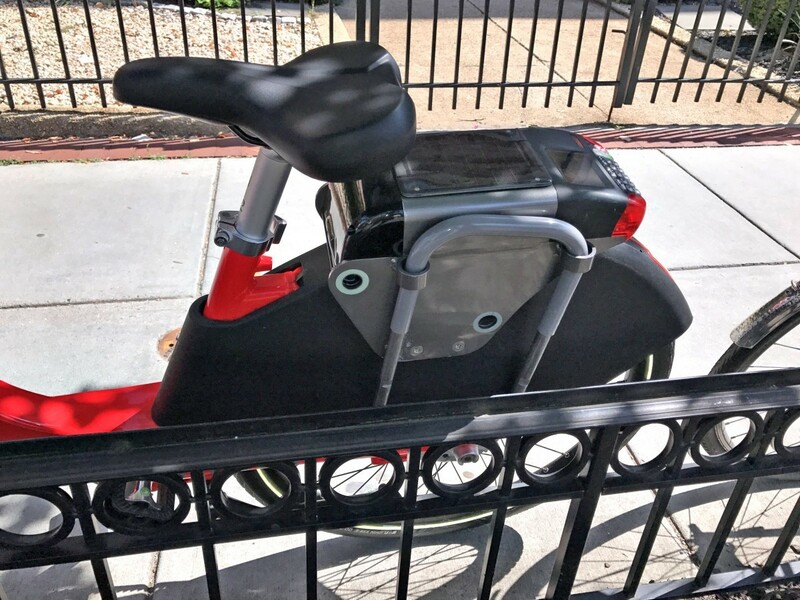 I hadn't, but with an electric-assist bike from new bikeshare entrant Jump, I did. I've never ridden an e-bike before, and it is smoooooth. Or, as contributor Topher Mathews said, "fun as f***." When you pedal, electric power kicks in to add force. The faster you pedal, the more electric power. It makes riding up a steep hill quite easy. 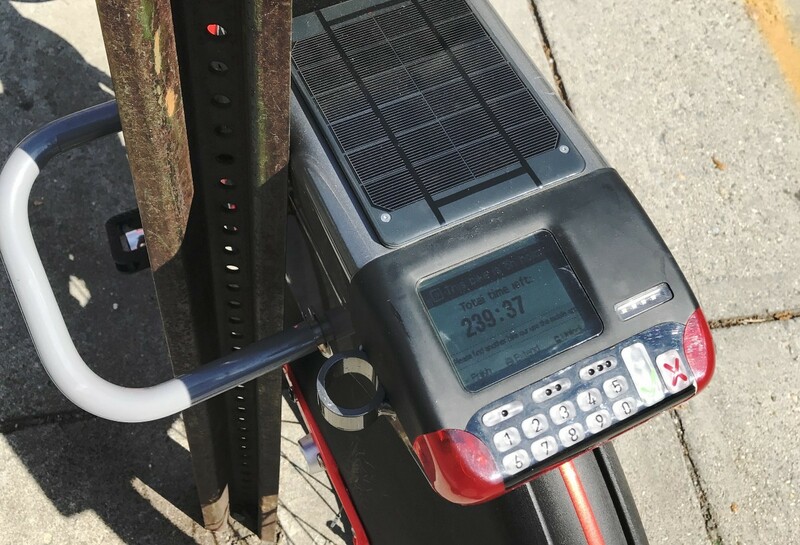 E-bikes are allowed on DC streets but not on trails (and Jump's website reminds people of this). In fact, I found myself riding in a much more vehicular way, taking the lane and feeling more comfortable even on wider downtown roads like 18th and 19th near K. I was able to keep up with traffic on 19th from L to K—uphill. 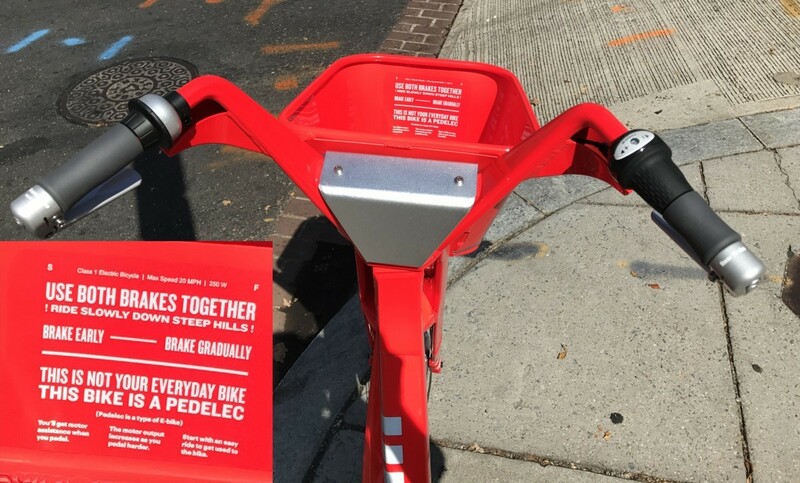 Payton Chung wrote, "I note that my ride up 23rd St/Florida Ave NW was very Vehicular Cyclist approved; I usually take the lane on this stretch and get nervous while doing so, but this time it was completely natural." On that same trip, the electric assist suddenly turned off as I was nearing 18th and Connecticut. Spokesperson Colin Hughes said, "The brief motor shut-off you experienced is a result of our very safety-conscious electric-assist system: we implemented a number of software controls that shut off the bike's motor if our sensors think a user is not riding normally. Occasionally the safety shut-off is triggered accidentally, as seems to be the case with your trip. After a brief pause, or once the bike has come to a complete stop, the motor turns back on." Jump also has a set of "hubs," apparently one per ward: by Columbia Heights, McPherson Square, Woodley Park, Georgia Ave/Petworth, Brookland, Union Station, Benning Road, and Anacostia Metro stations. According to the website, you get a $1 credit for returning to a hub. To try Jump, search for the app "Jump mobility" in your app store/market. Have you tried it? What do you think?